A healthy, refreshing and versatile treat. If you've never had homemade apple sauce or fruit compote, go buy some apples pronto! There is absolutely no comparison between this and the store-bought variety. 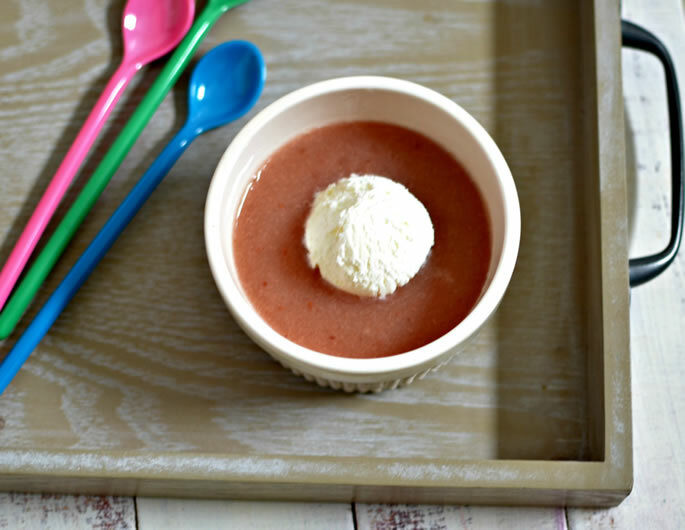 I like to throw some strawberries in for color and flavor, but you can make it just with apples and pears, or even just plain apples! I prefer Granny Smith apples and Bartlett pears, but other types work too. Peel and core the apples and pears. Cut them into pieces, as pictured; not too small. Add about an inch and a half of water to the bottom of the pot. 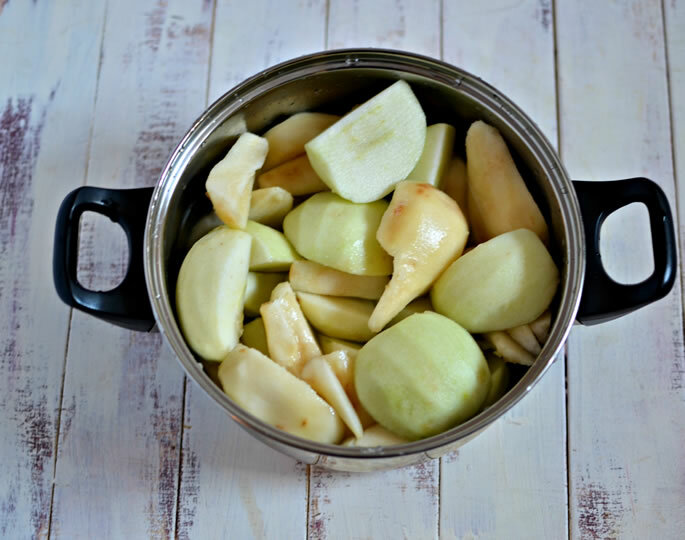 The apples and pears will release a lot of liquid into the pot when they start to cook, so you don't want to start out with too much water. Bring the water to a boil, then reduce to a simmer for about 45 minutes. After you turn it off, add in the strawberries. They can be fresh or frozen (I used frozen). The residual heat will cook the strawberries just enough. Feel free to omit the strawberries, if you prefer. It will be good without them too. Now it's time to decide if you'd like your apple sauce smooth or chunky. For chunky, mash the fruit and eat as is. Eat it hot, or refrigerate and eat cold. If you prefer smooth apple sauce, first drain most of the liquid. But do not throw it out! The water that fruit was cooked in is like a delicious natural juice. You can drink it hot, like tea, or cold, for a refreshing healthy beverage. I drink it both ways, depending on my mood. This compote is a great staple to keep in your fridge if you're trying to eat healthily. It also freezes well, and tastes great half-defrosted, when it's icy and slushy. Peel and core the apples and pears. Fill a pot with about 1 1/2 inches of water. Add the apples and pears. Bring to a boil, then simmer for 45 minutes. Add in the strawberries and let the mixture cool for a little while. 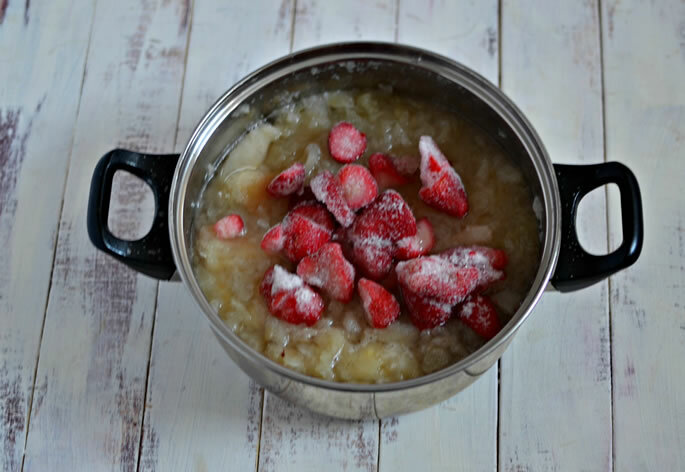 For chunky apple sauce, mash the fruit. For smooth apple sauce, strain and blend. Don't waste the liquid! 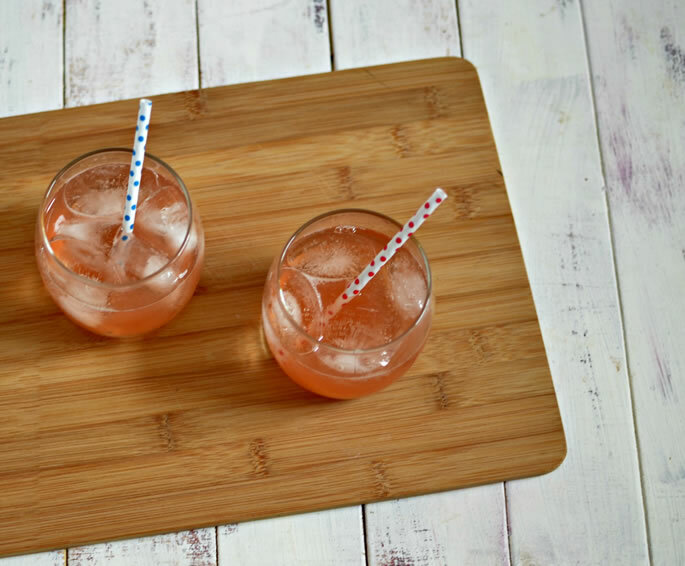 Drink it hot, like a fruity tea, or add some ice for a refreshing cold drink. 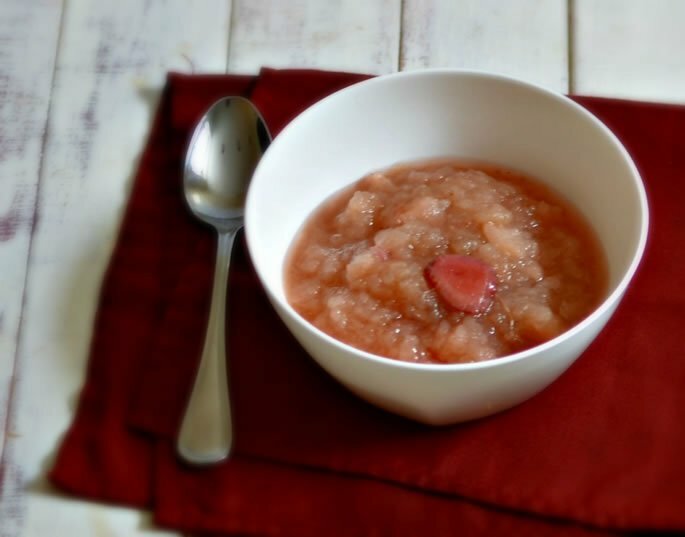 Have you ever made fruit compote or apple sauce before? What's your favorite combination or fruit? Tranquility. Awareness. Jewish identity. Family . . . I would like to receive news and updates from Lubavitch Youth Mitzvah Tank by email. Something to enjoy. Yes, Apples and cinnamon is a must however the combination apple-strawberry-pear produces a specific aroma and taste in itself. To mix this with cinnamon might be a bit tricky on the tastebuds. Mrs Szokovski, I have been experimenting with pomegranate and found the combination of the juice of 3 pomegranates with the flesh of 2 pink grapefruits and 1 lemon, adding a bit of Stevia to sweeten a bit, and to combine for a smooth texture one sachet Agar-Agar, a most heavely combination. It tastes delish with breakfast, yoghurt, cheese, as a topping, use your creative mind. Many jams and marmalades are too sweet, this is a wonderful alternative. The sweetness of the pomegranates is an exclusive. No wonder the Ancients considered it, beside the grape, the fruit of the gods, not to mention its healthy qualities. We truly do not need to eat animals to be healthy and enjoy food. There is a whole new world, a whole new kitchen to be re-discovered and to teach our children. Banana Ice Cream Yes! I am a big fan of the banana based ice creams. Importance of preserving nutrients and vitamines Whilst I agree 100% with LR in NYC regarding healthy cooking, I feel that eating meat, and fish is most important, as long as the portions are within healthy dietary norms, all the animal fat has been removed, and are not eaten at every meal. Adding legumes to smaller portions of meat makes for delicious and sufficient protein intake. Adding a mashed banana to the cooking instead of sugar etc..
Less starchy foods, less sugar, less salt, and the total removal of butter in recipes (to be replaced by unsaturated oil) is the recipe to good health as well as taste. Good portions of Fruit and/ or vegetables added to rice dishes, pasta, potatoes, soups etc.. give added taste and high nutritional value, as long as over-cooking is eliminated. You surely know that long cooking times destroys the nutrious values and vitamins in Fruits and Veggies and that brings about making choices between taste and nutritious values. Notice you teach cooking classes, and surely hope you assist in spreading the future world of a vegetarian lifestyle as per Bereshit 1. It has been scientifically proven that meat-eating triggers many diseases. Presently religiously imposed meat-eating is fundamentally unhealthy for humans. We are not scavengers, and that's precisely what meat-eaters are, whether selective or not. Adding ginger to your recipe gives it a totally different touch heartily in Winter. Have you tried making banana ice cream from simply ripe bananas crushed into a cream, adding sprinkles of lime juice? I shall be over in 5 minutes for a taste! Put the Nespresso machine on, that's s dear. Joking apart, i find the shorter time suits me better, as the vitamins are more gold medal olympians, and very tasty indeed. I cannot leave food cooking on the stove while I go out. Cooking Time L.R. - I find that a longer, gentler cook on a low flame extracts much more flavor. But I'm glad it worked for you in less time. Fruit compote You guys take too long to cook! Hours for a chicken soup and 45 mins for compote...too too long! Use a pressure cooker for the first and the micro-wave for the second . The results are healthy tasty to the max. Doing it "my way" gives you more time to sing, play the piano, or go to the gym. Apple sauce Dear Miriam, Thank you for the palatable presentation. Didn't believe it till I tried it but here is a trick for when you're short on time. Leave the peels on! (only if you're going to mash it up smooth) you will NOT taste pieces and it's a huge time saver.